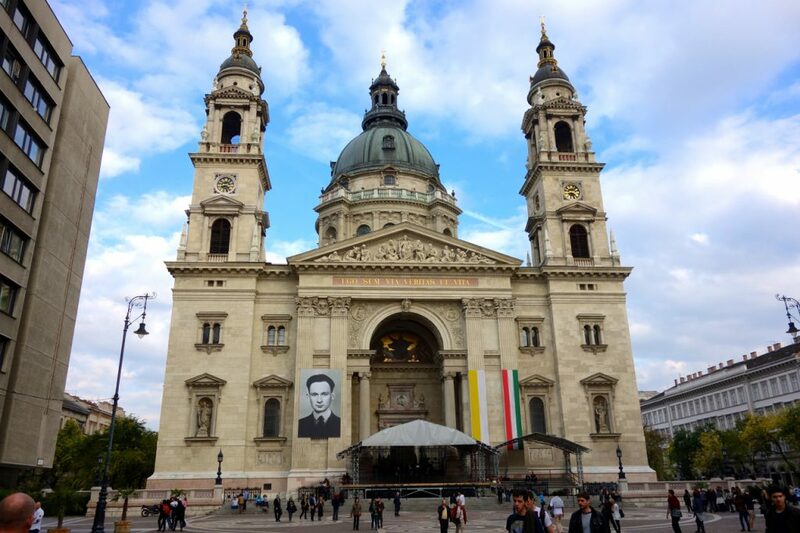 Hit up one of the Free Walking Tours- After you’ve gotten your bearings in the city, taking a free walking tour is a great way to learn some history, hear a few stories, and get some local insight into what Budapest is all about. There are several offered throughout the week- check with your accommodation to see about start times and meeting places. The ‘General’ tour will take you past some of the architectural and community highlights on both sides of the river; the ’Jewish District’ tour focuses on the historical Jewish area, along with its Ruin Pubs and other highlights; the ‘Communism’ tour focuses on the Communist history of Hungary, and tour guides provide a unique insider perspective on what it is like living in Budapest during this transitional period in Hungary. Walk along the riverfront- The Danube Riverfront is SPECTACULAR. 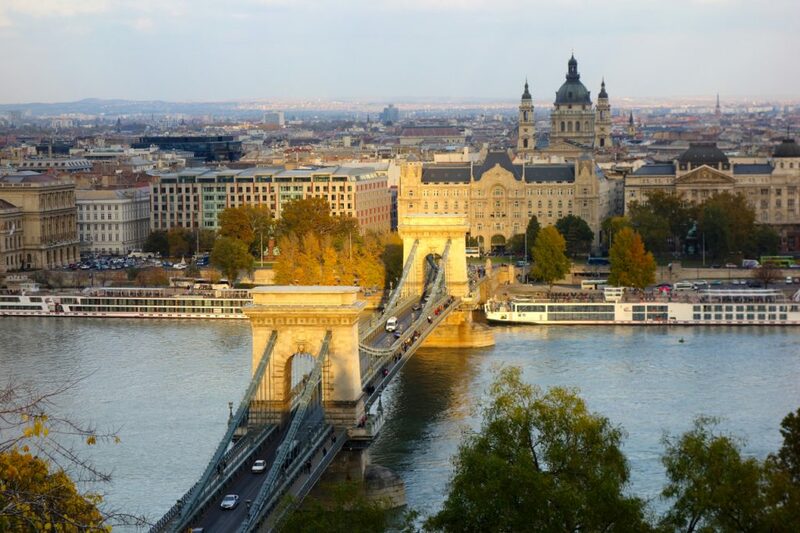 Packed with cafes, shops, and restaurants, with epic structures like the Parliament building and the Szechenyi (Chain) Bridge mixed in, a walk along the Danube is an experience in itself. If you’ve got the time, check it out both during the day and after dark- two totally different walks. 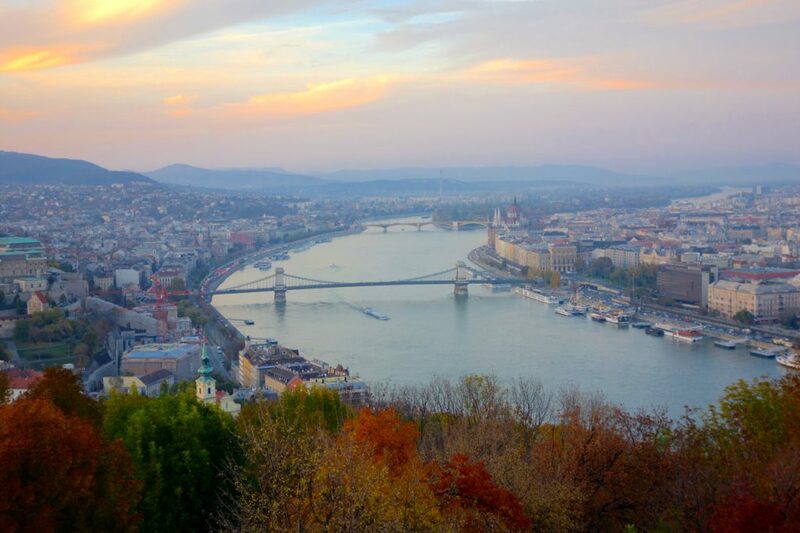 Climb Gellért Hill for sunset- Gellert Hill is located on the Buda side of the Danube, south of the city center. It is easily identifiable by the Liberty Statue high atop the hill. There are several paths that climb to the summit, with quiet spots to sit and soak in the views over the city. The best views are had from the top of the hill, which attracts throngs of tourists at sunset. Despite the crowds, it is well worth the trip. Get there early, stake out your spot, and watch the city light up as the sun goes down. Don’t forget your camera! Also, a light source of some kind will be useful on the walk down the hill, as the paths are poorly lit. 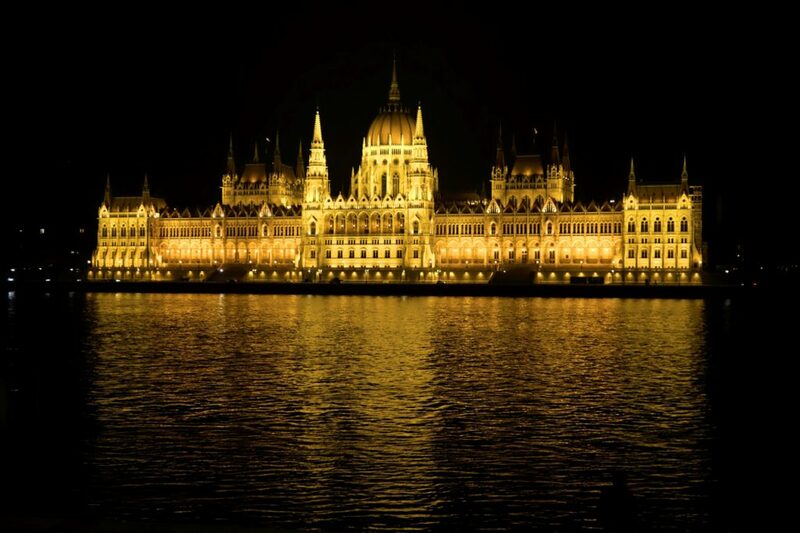 Explore the Hungarian Parliament- Seated on the Pest side of the Danube, the Parliament building is one of the icons of Budapest, and is impossible to miss. A towering, Gothic Revival-style building that dominates the Pest shoreline, the Parliament building is a MUST SEE when in Budapest. There are guided tours every half hour between 8AM-4PM Mon-Sat, and 8AM-2PM on Sun (Subject to change). 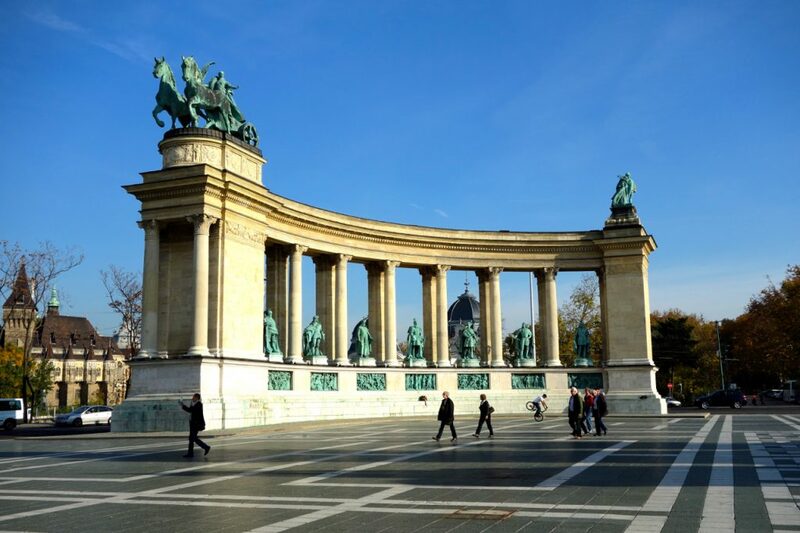 Hang out with Hungarian Legends in Heroes’ Square- Located at the north end of Andrassy Avenue, Heroes’ Square is an iconic memorial to the legendary figures of Hungary’s past. The Millennium Memorial structure was completed in 1900, and the square has been a popular site for public gatherings, demonstrations, and celebrations ever since. This is a great place to sit for a while, basking in the sun, in the shadows of heroes, soaking up the history and and watching the world go by. Walk across the bridges- There are several bridges that span the Danube, linking Buda and Pest. Walking across these bridges will become routine when you’re out exploring the city, but be sure to pay attention when you’re crossing- they provide a unique view of the city impossible to get anywhere else. 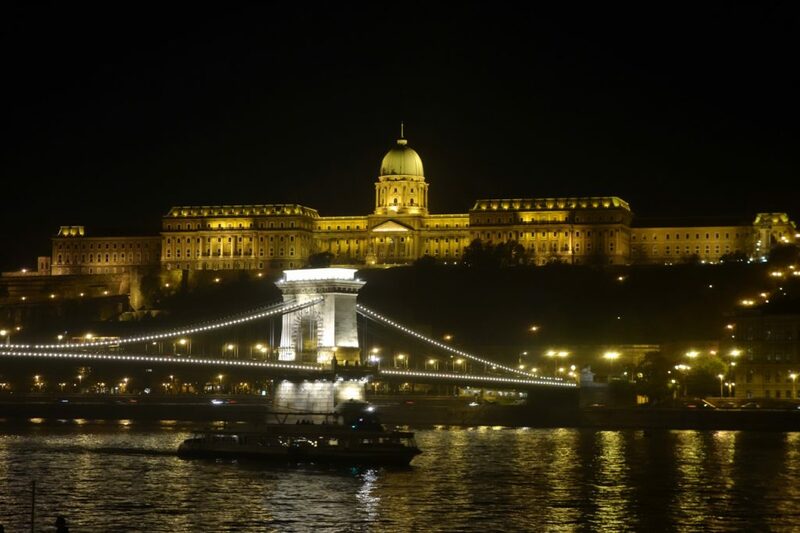 Take a river cruise- Speaking of ‘unique views’, a river cruise along the Danube is a great way to see the city as well, day or night. Dinner cruises, cocktail cruises, tea and coffee cruises- there are countless options available. Talk to your accommodation about the various companies, and they should be able to help you organize tickets. Keep in mind that you’ll save a few forints if you walk down to the riverfront ticket offices and book the cruise yourself. Climb up to Fisherman’s Bastion- High up on the Buda ridge line, the Fisherman’s Bastion is a great place for spectacular views over the Danube and the Pest side of the city. A turreted terrace amongst numerous towers and walkways, the Fisherman’s Bastion is a great place to watch the sunset over the city. Take some time and wander the nearby streets, and stop in the impressive Mathias Church while you’re there. 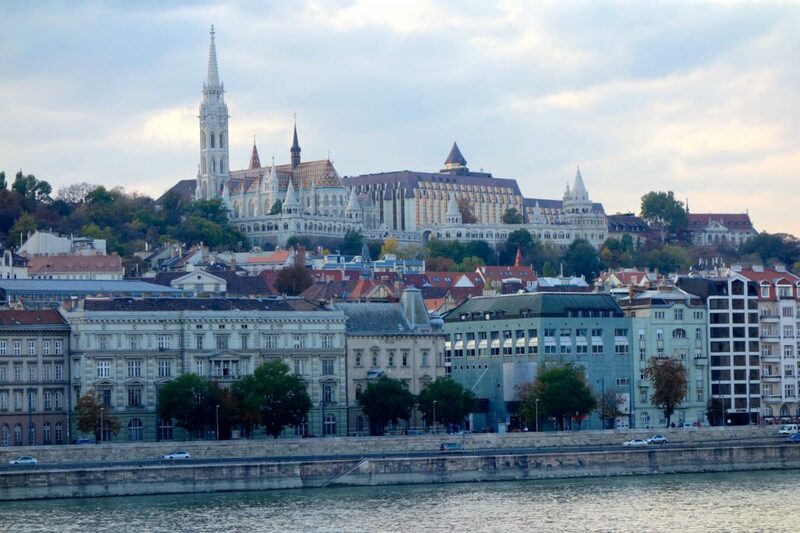 Marvel at Buda Castle- Dominating the skyline along the Buda side of the river is the immense Buda Castle- the Royal Palace for the long line of Hungarian kings and Holy Roman Emperors. It is a massive complex, with various structures and wings, the oldest dating back as far as 1247. Take a walk around the grounds, and take a guided tour through the interior for an in-depth look at the history of the palace. 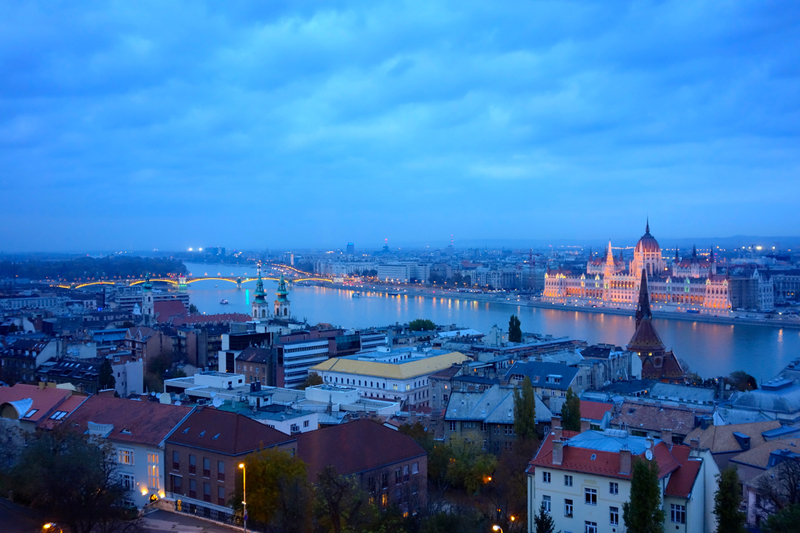 Wander around Margaret Island- This island is really a massive park located right in the middle of the Danube River. Lots of green space mixes with a few unique landmarks to provide a peaceful oasis in the middle of Budapest. Make sure to check out the musical water fountain near the south end of the island. You can access the island via the Margaret Bridge to the south, and the Arpad Bridge to the north. 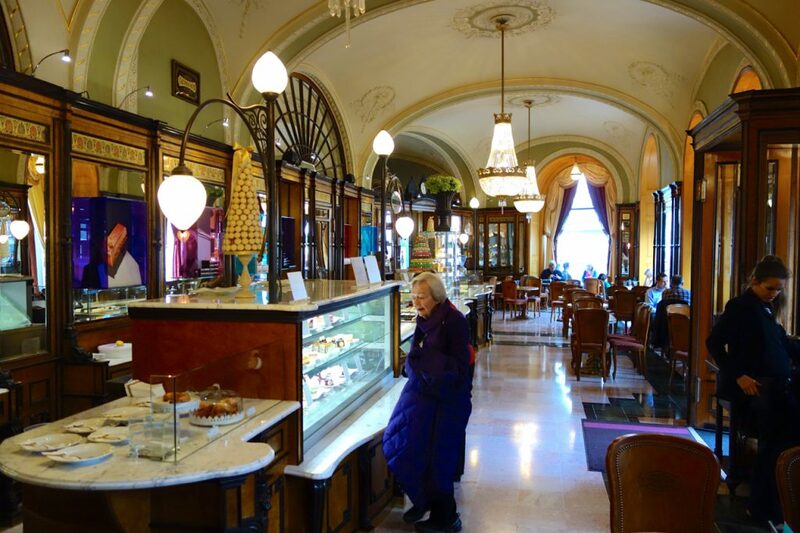 Walk along Andrássy út Boulevard- This major boulevard is the ‘Champs-Elysees’ of Budapest. Shops, cafes, restaurants, universities, museums, theaters, boutiques- all set in magnificent Neo-Renaissance mansions that line the street. Take a wander along the tree-lined sidewalks- a great spot for window-shopping and people-watching. 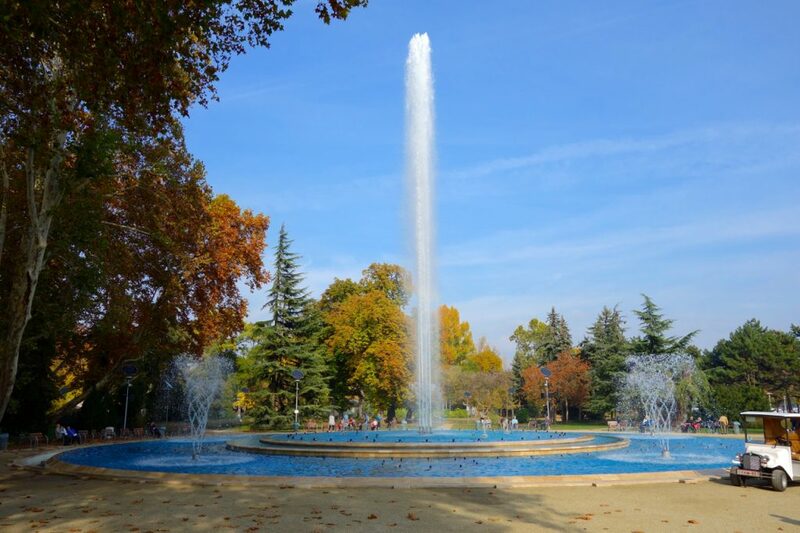 Hang out in City Park- Located at the north end of Andrassy ut and through Heroes’ Square lies City Park- a large green area that has more than a few landmarks to check out. The Szechenyi Baths, the Vajdahunyad Castle, the Botanical Gardens, the Museum of Fine Arts, just to name a few. You can walk there, or take the metro to the Sechenyi Furdyo stop on the Yellow Line. Experience the wonder that are the Turkish Baths- The most obvious remnant of the Turkish presence in Budapest is the plethora of Turkish Baths spread throughout the city. From small local baths to sprawling compounds, these baths are an ingrained part of the culture here in Budapest, and are a perfect way to relax after a day of exploring. 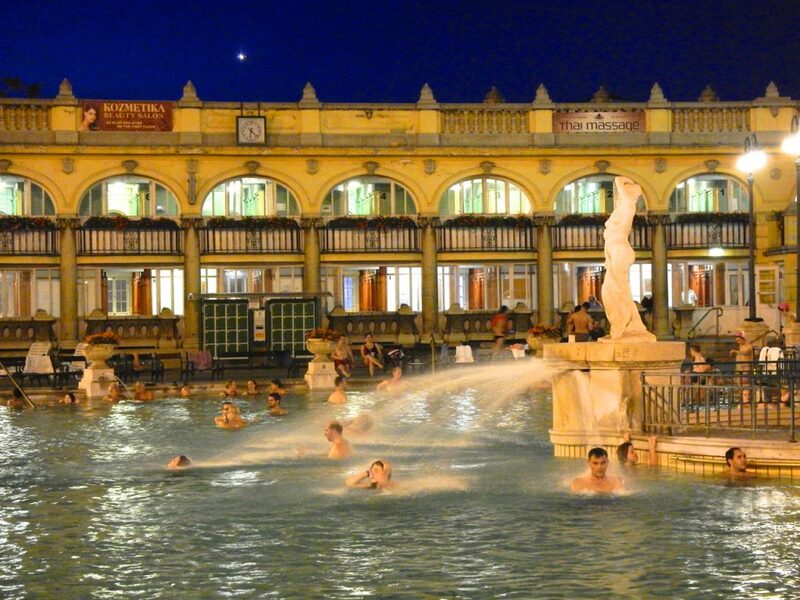 The Szechenyi Baths in the City Park are probably the most popular (HUGE), while the Gellert Baths at the foot of Gellert Hill may be the most extravagant. There is something to fit every budget- ask at your accommodation for some recommendations from the locals. Get lost among the Ruin Pubs in the Jewish District- The Ruin Pubs in Budapest’s Jewish District are infamous- wacky, kitschy, totally random, and CRAZY fun, these pubs have sprung up in several crumbling buildings in the city’s center. You can gain some insight into these hotspots through the ‘Jewish District’ Walking Tour (see above), talking to the people that work at your accommodation, or just by asking the locals while you’re walking through the district yourself. 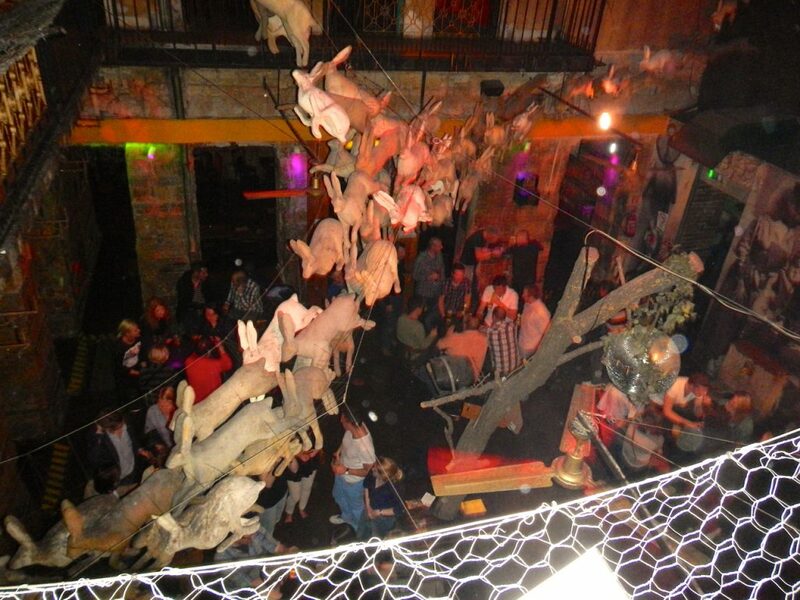 Whatever you do, make sure you have at least one night out at the Ruin Pubs- you’ll be glad you did. Shop the stalls at the Great Market Hall- This place is a budget shopper’s HEAVEN. Stalls upon stalls upon stalls of food, souvenirs, spices, fresh produce, clothes, candy, random Hungarian specialties, and everything in between. The place is HUGE, with multiple levels, and is a great place to find delicious traditional food on the CHEAP. You can find the market at the Pest side of the Liberty (Green) Bridge. Drink like a local- Palinka is Hungary’s national drink, and you can find it literally ANYWHERE in Budapest. A fruit brandy, Palinka comes in a variety of flavors, and often pubs and bars will have their own ‘house recipe’. Be aware- Palinka is pretty strong stuff, and if you’re not Hungarian, should be consumed in moderation.